There’s a reason that beautiful little animals are such a staple in children’s decor, year after year. They’re just so cute. Who could fail to love these adorable little guys? Argentinian artist Paola Zakimi creates truly beautiful illustrations, portraits and prints in inks, pencil and watercolours and a journey to her Etsy shop Holli is truly a feast for the eyes. There’s a lot to love at Holli and it’s worth taking the time to have a good look around, but what really struck me was the level of detail and care that has been poured into her beautiful and whimsical little animal prints. I particularly love her alphabet prints, available as the whole alphabet or individual letters. 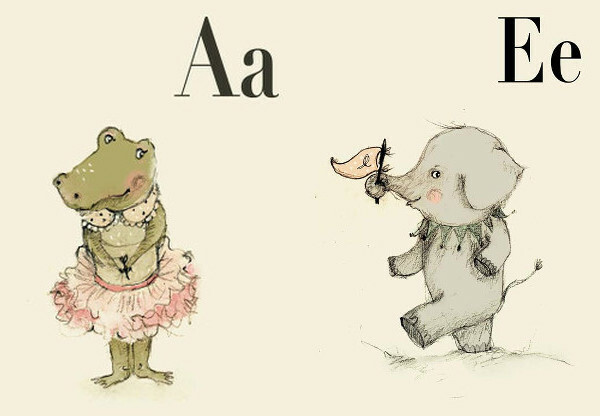 Kids will have a blast recognising the gorgeous little animals which correspond to each letter – and I admit I went right through the list myself (who knew a baby yak would look so cute?). 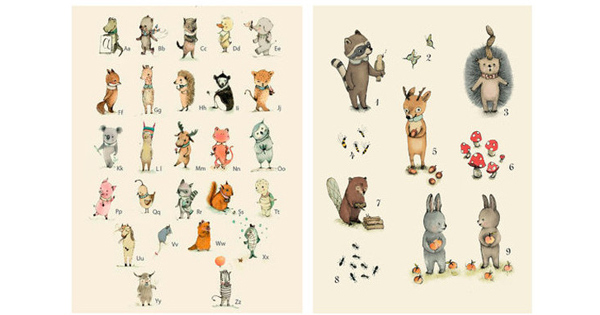 Paola’s prints and posters are available in lots of different sizes, from photograph size right through to A3 posters. Prices vary, according to size and detail. 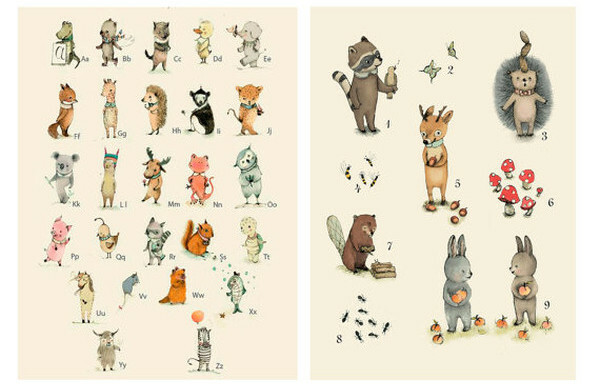 An A3 print of her full alphabet is $38. Check out all of Paola’s artwork and purchase directly at Holli.